Alright, so I finally got to see Spider-Man: Homecoming, which I had been looking forward to since the been Captain America: Civil War (2016) teaser spot when we first saw (the new) Spider-Man. 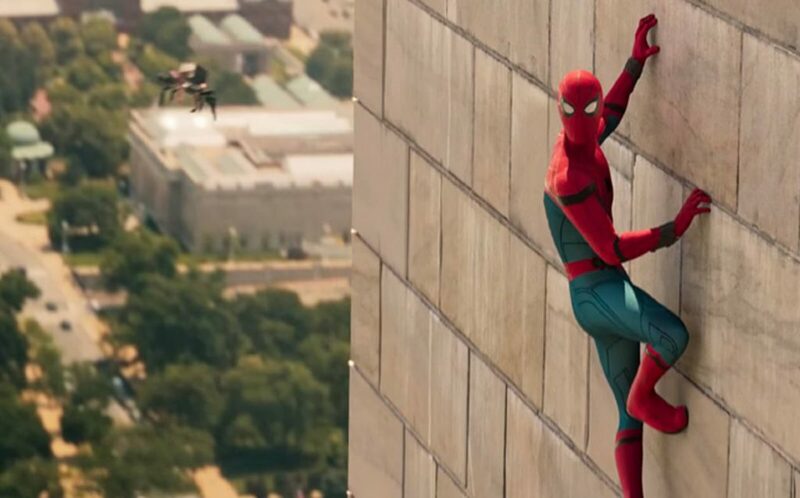 Even during his brief appearance in Civil War, I saw a lot of potential for the newest version of the web-slinger. Now, I know for some people Spider-Man is kind of a sore spot because it’s another reboot. For some people (like me) it’s a time to rejoice because yes it’s the second reboot of Spidey, but(!) Homecoming is also the sixteenth film of the MCU (Marvel Cinematic Universe). So, you ask? Sony has had the rights to Spider-Man for… well a long time and companies usually don’t work together, which meant fans would never see Spidey running along side some of the other Marvel heroes. So, when Sony and Marvel (Disney) actually struck a deal that would make that happen the world (of comic fans) cried tears of joy. Ok, so I’m not sure if anyone actually cried, but a lot of people were like seriously happy! What are you getting into with Homecoming, which has a running time of ninety-three minutes? Well, after the events of Civil War Peter Parker aka Spider-Man is dropped back off at his home in Queens with his cool new suit and told by Stark “I’ll call when I need you”. Now Peter spends his days balancing life as a high school student and crime fighter. Problem is, after fighting Captain America, catching a purse snatcher doesn’t seem as cool. Unfortunately, a purse snatcher quickly becomes the least of Peter’s problems after he witnesses some crooks using dangerous high-tech weapons. So, Peter suits up and tries to track down where those weapons are coming from. If there’s anyone out there that hasn’t seen Civil War yet, there are some references in Homecoming you won’t understand. Does it affect the overall enjoyment of the movie? No, I don’t think so. You won’t get some of the tie-ins, but you do get a tiny bit of backstory that helps fill you in on what Spider-Man’s role was in Civil War. I thought the story was good, but not necessarily the blockbuster I was hoping for. Even though I liked the flash backs that showed us how Peter got from the past to present, I thought they were used more for quick jokes than a necessity for the story. Yeah, the story dragged a bit here and there, but I thought the story was entertaining. As much of a fan of Spidey as I am, I’m happy with the decision they made of not rehashing the Uncle Ben history. Most of us know the painful past of Peter’s uncle so I’m glad they didn’t waste time telling that story again, which actually helped add a bit newness to the re-reboot of an old tale. Unfortunately, Homecoming hits the same wall a lot of “origin” stories do. You need to spend time letting people get to know the character so you get backstory and character introductions etc. The downside to origins is most of them are slow and are lacking in overall entertainment. Example: Captain America: The First Avenger (2011) didn’t really get going even after he became the super soldier. Most of the movie was spent following a scrawny guy around introducing us to him and building his character. Then they (finally) juice him and he’s used to promoting war bonds… We finally get some star spangled action, but before you know it, the movie’s over. Now, Spider-Man wasn’t that bad, but it did have origin issues that held it back in the same ways. By the way, I know I’ve probably upset some Captain America or Marvel fans and… I’m kind of sorry. Just so you know, I’m a comic nerd who grew up reading Marvel and (if it helps my case) really liked the sequels, but the first movie was a bit disappointing, seriously. Now, back to Spider-Man! For me, this version of Spider-Man was a great mix of the past versions with some new bits added that none of the other movies used before. For example, we get a smart but geeky Parker, which McGuire pulled off well in the first movie. Spider-Man has web shooters instead of it being an “ability”, like in The Amazing Spider-Man reboot. There’s the trademark banter of Spidey, like in The Amazing Spider-Man, but it was better perfected this time around. Cool addition, Parker’s still in high school and we get to see the struggle he faces with his age and his abilities. I felt the other movies made for a good older version of Parker, but we’ve never seen the kid that became Spider-Man, until now. 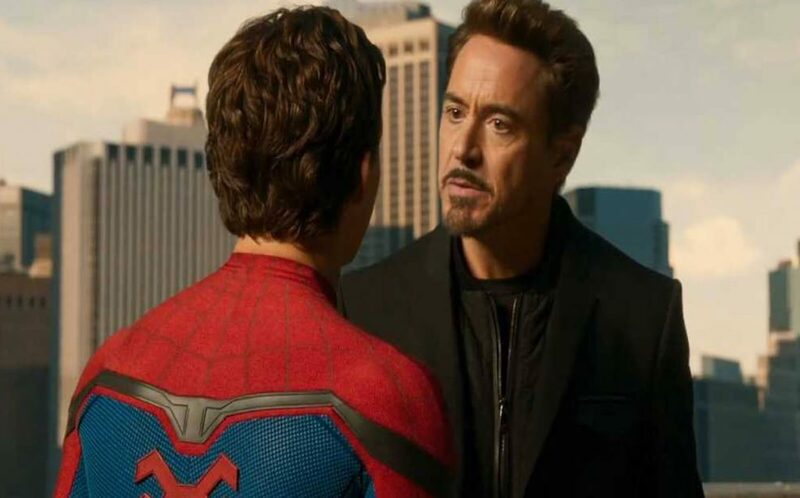 Some of the faces you’ll see in Homecoming are Tom Holland as Peter Parker/Spider-Man, Michael Keaton as Adrian Toomes/Vulture, Robert Downey Jr. as Tony Stark/Iron Man, Marisa Tomei as Aunt May, Jon Favreau as Harold “Happy” Hogan, Zendaya as Michelle “MJ” Jones, Jacob Batalon as Ned, Laura Harrier as Liz, Tony Revolori as Flash and Bokeem Woodbine as Herman Schultz/Shocker #2. I thought most of the cast did a great job with their characters. I’ve got to be honest, I didn’t really care for Zendaya’s character. Aside from giving grief to Peter, which other people did also, I didn’t see a need for Zendaya to be in the movie, she didn’t add or really do anything with her character. I think they threw Zendaya in to mess with the fans because she was listed as MJ. Now, some people were upset to see Downey Jr. in the cast because they thought the movie would revolve around him, but I thought his part fit in just fine. Downey Jr.’s role this time is more of a mentor and only pops up to give advice really. Keaton made for a good bad guy, but it didn’t feel like his heart was fully in it. There are a few spots where Keaton totally sells the scene and owns the moment, but those stand out moments only highlight the times it seemed like he was phoning it in during the rest of the movie. After seeing more of his role I think Holland was a perfect choice for Spider-Man. Holland brought a lot of energy to the character which shows on screen and, for me, was able to pump some new life into what felt like a dying character. How kid friendly is Spider-Man: Homecoming? Well, it’s rated PG-13 and does have violence and language, but it’s at the same level as all the other Marvel films. Yeah, the main bad guy looks (kind of) scary, people are being punched/kicked and things are constantly blowing up, but Marvel has always shot for keeping things clean-ish and getting as many butts in seats as possib… I mean, Marvel has always tried to create entertaining films that lots and lots of “families” can enjoy together. Basically, yeah the kids will enjoy catching this one. The special effects looked great. I was disappointed with the Shocker character being nothing more than a second string henchman, but Shocker still made it from the comics to the big screen so I guess that’s a start. Vulture turned out to be pretty badass looking and I dug the subtle nod to the comic book character’s look that the costume department threw into his design. I wasn’t sure about the new Spider-Man suit at first with all its high tech-ness, but it grew on me. The idea that Stark made Spider-Man’s suit kind of threw me and I thought it might take away from the character, but it didn’t. I find I have to leave a bit of room for judgment when it comes to the film adaptations. Things will change and some things will stay the same. It all matters on how they bring them to the audience. In the movie, the Stark built suit was used to bring some cool looking scenes and a few funny jokes, which worked for the movie. For those keeping an eye out for the next time, Spider-Man will come swinging through the neighborhood, Sony has a sequel slated for July 2019. I have to say, I’m not the least bit surprised Sony has a sequel (or two) already planned. The box office numbers are telling them they have a winner. 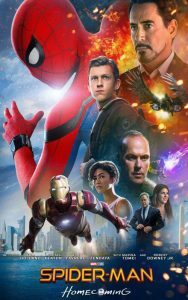 The budget for Homecoming was $175 million and the box office totals have hit (as of 9/8/2017) $747.7 million, with $325 million of that being domestic. Now, the real question is how long before the newness wears off and the numbers start dropping or does Spider-Man have the strength to keep those numbers growing? Summary : I really like the movie, but the drag spots did hurt the overall. I think it's still worth watching if you get the chance and if nothing else it's something fun to take the kids to.